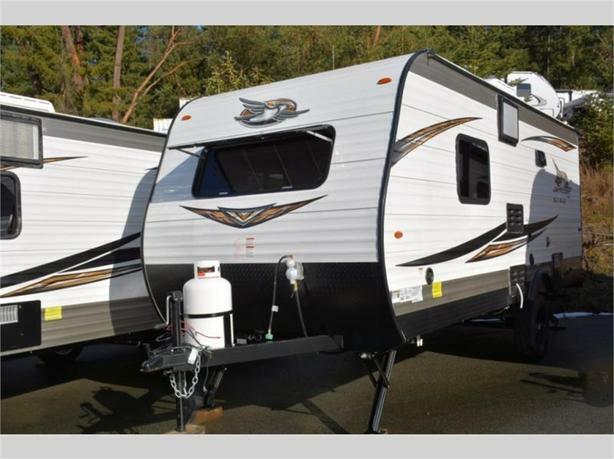 You can enjoy camping with this Jay Flight SLX Western Edition travel trailer anywhere you decide to stay as a couple or a family of three. Inside, you can sleep on a comfortable queen bed with a curtain for a bit of privacy, use the adequate kitchen with ample storage between the large pantry and oversized wardrobe, and get cleaned up in the private toilet and tub/shower room. Just imagine relaxing in the great outdoors with the featured 10' awning for shade during the midday sun, plus the wall-mounted AC will keep you cool no matter how hot the weather is outside. Take a look around, you will be glad you did. With any Jay Flight SLX Western Edition travel trailer your vacationing couldn't be simpler. These units provide you with all of the comforts needed along with complete reliability on the road. Jayco's industry-leading 2-year limited warranty will provide you with peace of mind regarding your purchase. You will appreciate the seamless Magnum Truss roof system and American-made Goodyear tires, as well as keyed-alike entry and baggage doors for ease of use so you only need to keep track of one key! On the inside, you will love the look of the chocolate maple cabinet doors, the Diamondflor vinyl flooring for easy clean up, and the comfortable sleeping accommodations on a Simmons queen mattress in select models. And, for your temperature control comfort inside, there is a wall-mount 8,000 BTU AC unit so you can stay cool even on the hottest summer day! What are you waiting for, come select your favorite Jay Flight SLX Western Edition model today!